Motorized collimation allows you to customize the field of view to fit needs of each clinical situation. It allows you to scan each patient with optimal image size. 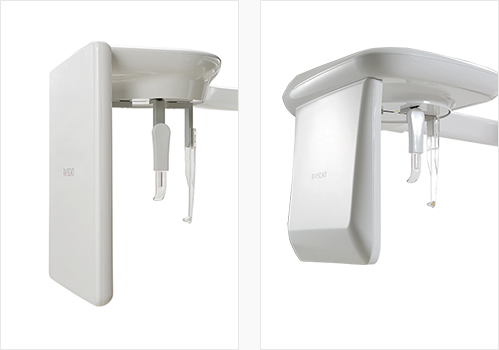 An imaging revolution of CBCT Customizable "Free FOV"
Flexible FOV adjustments from 4cm x 3cm to 16cm x 10cm (or 12cm x 10cm), or choose from the pre-set fields of view which is designed for general clinical situations. 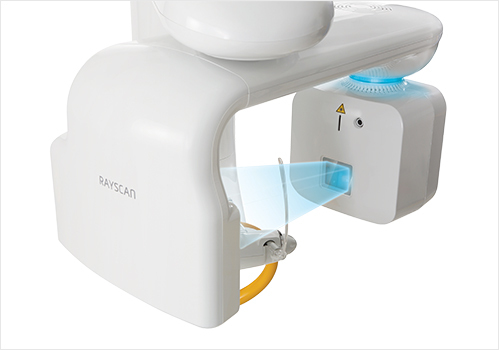 Unique to the RAYSCAN α+, an innovative light-based positioning system that superimposes the scan field of view on the patient’s face allows you to see the area being exposed prior to scanning. The visible x-ray guide is applied for panoramic, Cephalometric and CT scanning. Through the utilization of pulsed x-ray exposure, collimation, and reduced scanning times down to a 4.9 second, radiation dose have been lowered. 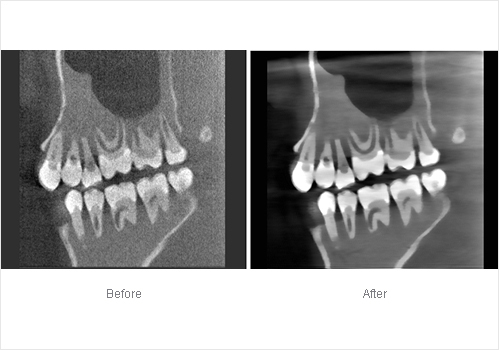 Technical improvement results in extremely high-quality images while reducing radiation dose. With high performance detectors and our advanced technology, we provide superb image with detailed clinical information which provides even outline of soft tissues. 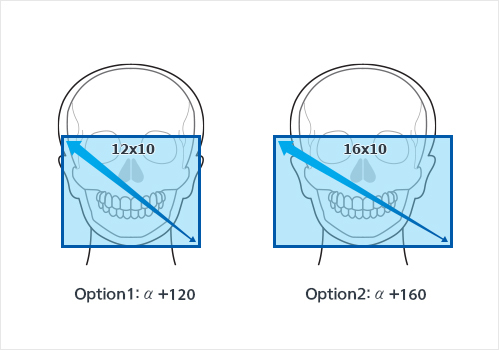 You can choose between one-shot and scanning cephalometric options. 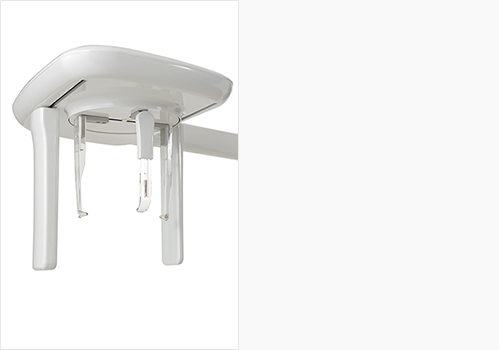 Cutting-edge flat-panel detector(FPD) provides a new level of performance and reliability while reducing radiation exposure and image distortion due to patient movement. Two different sizes of FPD are available. Scan type ceph allows clinicians to upgrade their diagnostic capabilities while keeping costs to a minimum.